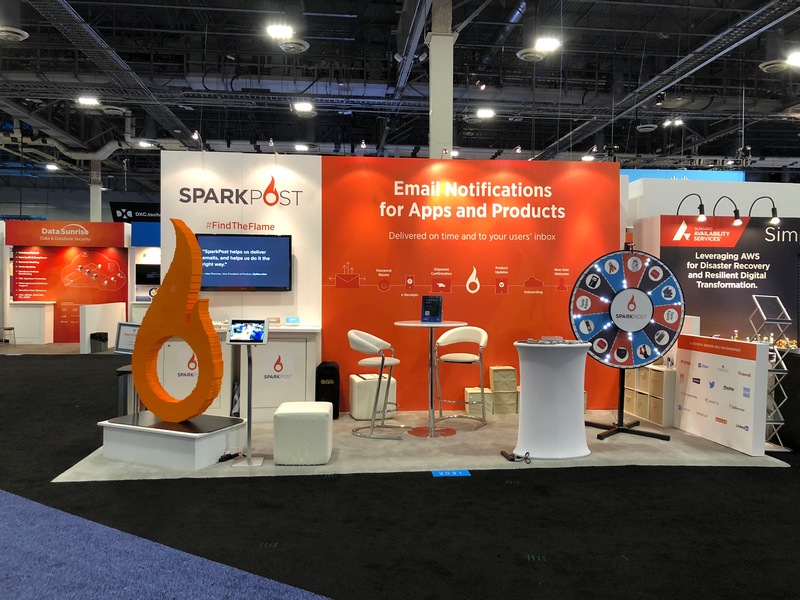 ***TL;DR: Enter your guess here for how many legos were used in the making of our life-sized lego flame for re:Invent. What’s orange, six-feet tall, and weighs 150 pounds? Most of the marketing team responded with “Who doesn’t love Santa?” And eye-rolled at the idea of a Star Wars themed booth (so overdone at this point). Plus, I firmly believe that developers like more than just Star Wars. I bet I can even find developers who don’t like Star Wars. Anyway, I weighed the feedback and that sent me back to the drawing board. After a few days I glanced up on the wall of my office and there pinned to my wall was an idea I wrote down months prior to “#FindTheFlame”. I wanted somehow to incorporate our logo in our sponsorship and figured we’d incorporate a Twitter contest around that hashtag during AWS re:Invent 2017. Then my demand gen manager suggested, “why don’t we just use that as our theme and build on it?” Great idea. But now the challenge was, how do we make it interesting enough to stand out in a crowd of over 300+ sponsors and 40,000 people? 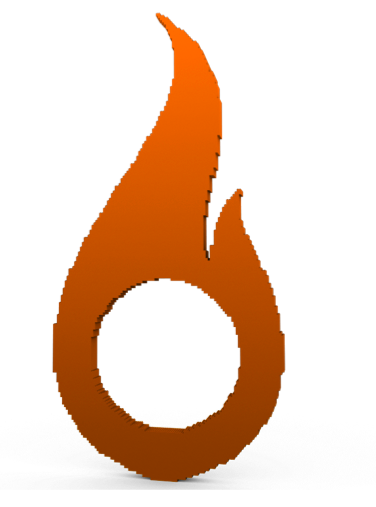 In the spirit of #FindTheFlame, we thought, wouldn’t it be cool if we could have a giant rendering of our SparkPost flame logo? After some research on getting it built in foam, cardboard, wood, ice (but that was ruled out immediately because of the sponsorship rules), balloon sculpture, and other crazy materials, I finally settled on LEGOS. I used my brother’s 50th birthday as a distraction to any competitor or sponsor who might be reading my tweets because I wanted this to be a huge surprise if we could pull it off. I got in touch with Jamie at Bright Bricks immediately. One phone call and I was ready to order. It was going to take 8-10 weeks to build and ship it to Vegas. That was going to put me right up to the Friday before the event; talk about a nail-biter! But Jamie guaranteed they could get it there on time, despite the Thanksgiving Day holiday. As a teaser, he sent me a computer model rendering of what it would look like. I showed it to our co-founder and CTO, George, who said, “That is F***ING AWESOME!” Which is why we love working for George, he recognizes awesomeness when he sees it. Can you guess how many bricks it took to build it? Tweet us your guess using the hashtag #FindTheFlame OR enter your guess here by 12/10 and you might win a $500 Amazon gift card! Thank you again to AWS for another outstanding event! To see all of the #FindTheFlame pictures, check out our album!